Can you believe we are already in the middle of April and preparing for the end of the school year? 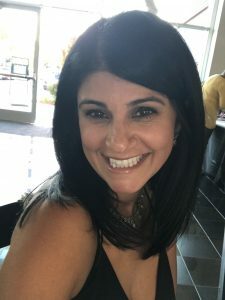 It’s been such a busy and fun year and it has been a pleasure serving on the PTA board and getting to know other parents and staff at Vinci Park Elementary! 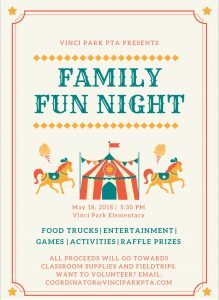 With just a little under two months left, the PTA is excited to end the year with two wonderful events: Pasta Night on April 26th and Family Fun Night on May 18th. Please see the events section of the newsletter for more information on these two events. A flyer will also be sent home with your child so please watch out for those. As always, we would love to have volunteers to help us make these events a success. Please sign up to volunteer on the Vinci Park PTA website or send an email at coordinator@vinciparkpta.com. 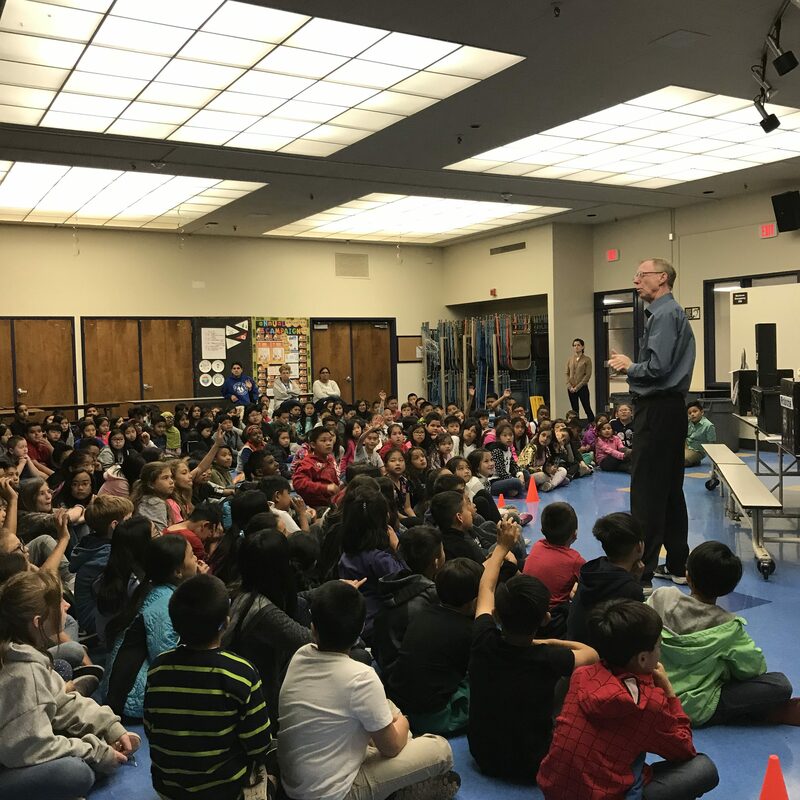 Did your kids come home talking about rockets and robots last week? 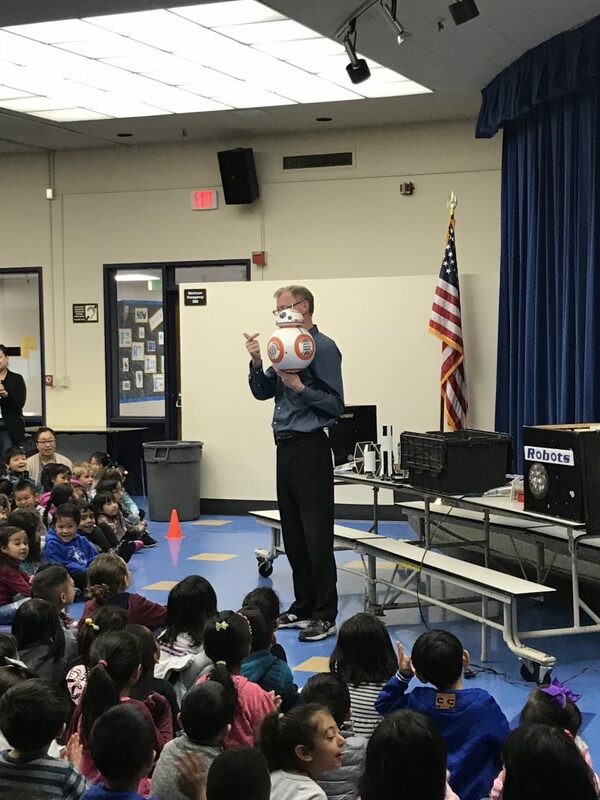 If so, it’s because they attended an awesome assembly hosted by the PTA called Rockets & Robots by Captain Bob. 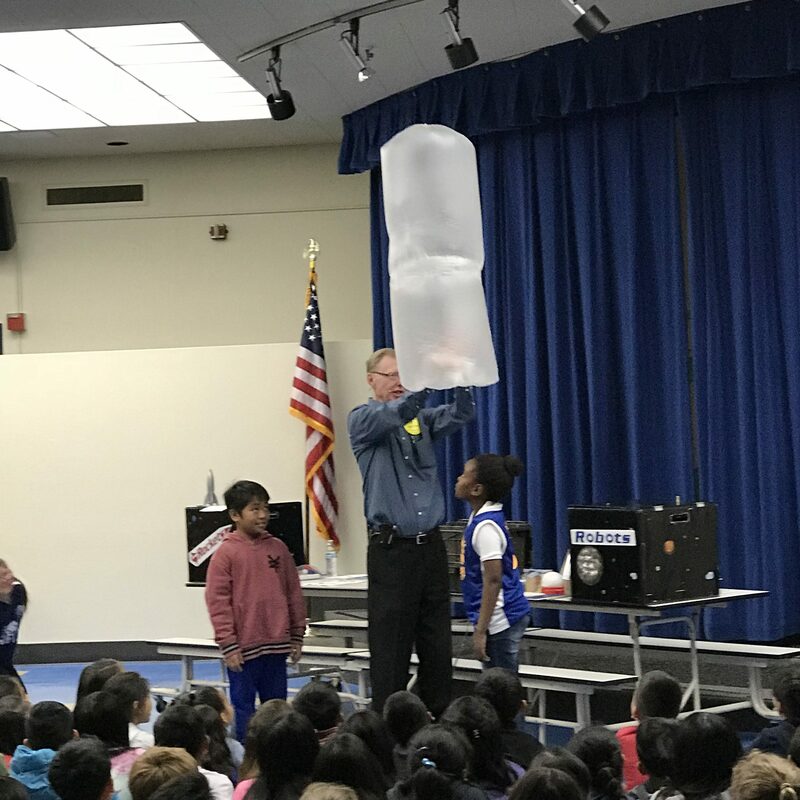 There were so many oohs and ahhs and the kids were really engaged and super excited! Through fundraising, we hope to be able to bring more assemblies like this to Vinci Park in the coming years. Teacher and staff appreciation week is May 7-11. Please look for a sheet that will be coming home with your kids soon and help us make everyday that week extra special for our teachers and staff who work so hard for our kids! April already! 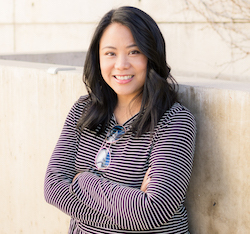 Wow, the second trimester has ended and you should have received your child’s report card. Hopefully you had an opportunity to review it with your child, to set goals for the third trimester and to celebrate the successes. Students certainly are doing some spectacular pieces of work. If you have questions or concerns, be sure to contact the teacher. Here are some of the resources on Common Core please review the following sites. Students grades 3-5 will be participating in the Smarter Balanced Test. Take all trash home and help others to do the same. Supervise your children and remind others to do the same. Keep dogs off the campus at all times. Address anyone engaging in vandalism and report it to the school office or the police. All volunteers and visitors are required to sign in at the office and wear a name badge. Please don’t knock on classroom doors after the school day has started.This are for your safety and the safety of our students. Sign-in is part of our school and district safety plans. Arrangements for the pick-up of students at the end of the day should be made before school. Instructional time is being interrupted regularly when parents call the office and ask the teacher to give a message to the student. Let’s protect the learning time by reducing calls to the classroom. Yearbook Update – The deadline to purchase a yearbook was on Friday, April 13th. Yearbooks are expected to arrive on June 1. We will announce the date and location of where you can pick up your yearbook closer to the date. Spirit Wear Update – Kids and adult hoodies are in stock and available for purchase, perfect for Spirit Days. Please place your order with your child’s teacher. We are also in the process of purchasing more shirts and we will let you know when those are available. Facebook – Are you on Facebook? If so, make sure to Like and Follow our Vinci Park PTA page to stay up to date on the events happening at Vinci Park. We post lots of photos so be sure to check it out! PTA Meetings are held each month in the staff lounge at Vinci Park. We discuss upcoming events, provide a financial report and our Principal Parisa Nunez shares updates concerning our school and students. Light snacks and refreshments are provided. 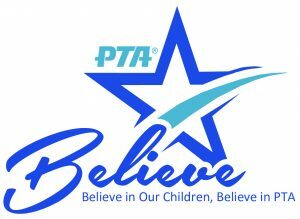 Our next PTA Meeting will be held on May 10 at 7:15 am in the staff lounge. If you would like to become a member, complete a form located at the sign-in desk outside the front office, attach your payment and submit it to your child’s teacher or front office staff. 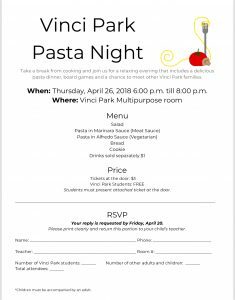 Pasta Night – Take the night off from cooking and join us for a relaxing evening with a delicious meal from Giorgo’s, board games and a chance to meet other Vinci Park families. Fliers will go home to parents this week. Vinci Park students, teachers and staff are FREE. Everyone else is $3. RSVP is required and the deadline to turn in the RSVP forms to teachers is Friday, April 20th. This is a community event and we hope to meet a lot of you there! Teacher & Staff Appreciation Week – Join the PTA in thanking our teachers and staff. Watch out for a flyer that will be sent home on how you can participate. Choose a day or two (or all five) to participate, then show your teachers and staff that they are loved and appreciated. Family Fun Night – Please save the date and join us for our major event! We have a lot of fun surprises this year. The posters are up around the school and fliers will go home to parents the week of April 23rd. Want to help? Fill out a volunteer form or send an email to: coordinator@vinciparkpta.com. LET’S MAKE THIS THE BEST FAMILY FUN NIGHT YET!